In 1995, Energetix® was founded on the concept that the practitioner is critical to the future of health and healthcare. Their vision was to assist and encourage practitioners to inspire patients to take control of and responsibility for their own health. As such, Energetix® is dedicated to providing the most effective and least invasive strategies for addressing health concerns. They offer the finest homeopathic, botanical and nutritional products designed for clinical use. As a pioneer in BioEnergetic medicine, Energetix® offers therapeutic systemic formulations based on traditional healing and the latest scientific knowledge. 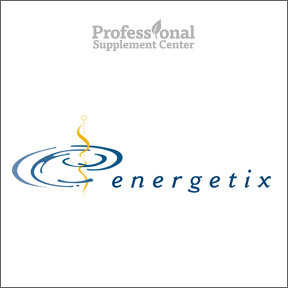 By striking a balance between scientific sophistication and handcrafted quality, Energetix® provides superior products that work synergistically to support the entire body and provide long-lasting benefits. All Energetix® products, including botanical tinctures, dietary supplements and homeopathic medicines, are manufactured to the highest quality standards according to cGMP guidelines in an FDA registered facility. All raw materials are sourced from trusted suppliers and are tested for purity, potency and specified characteristics. Their carefully controlled processes ensure that the vital health-giving attributes of plants and nutrients are not only maintained but are blended and balanced to enable healthcare practitioners to assist patients in acquiring and maintaining a state of optimal health. As Energetix® brand formulations are available exclusively through healthcare professionals, a consultation is required prior to the purchase of any Energetix® products. Fields of Flowers – This most popular homeopathic formula contains a unique blend of 38 traditional flower essences designed to address a multitude of emotional concerns. As an essential component of general wellbeing, these ingredients assist with the release of toxic emotions and anxiety as part of the overall healing strategy. Phyto B Complex – This unique formula contains biologically active B vitamins synergistically combined with adaptogenic rhodiola rosea extract. Biologically active ingredients do not require conversion before they can be absorbed and utilized at the cellular level, allowing for optimal benefit. ReHydration – This homeopathic remedy is designed to address symptoms associated with fluid imbalances, such as excessive thirst, dry skin, mental sluggishness and dry mucous membranes. Especially helpful for those who are chronically dehydrated, ReHydration supports the cells’ ability to absorb and utilize water efficiently. This entry was posted in Home and tagged Energetix, Fields of Flowers, Phyto B Complex, Professional Supplement Center, ReHydration, Vitamins and supplements, www.professionalsupplementcenter.com. Bookmark the permalink.